We’ve bemoaned the state of modern movie posters a lot here on GFR (this very day, in fact). Go to your local theater and just look at the walls. Oh look, there’s a collection of giant heads! Hark, it’s somebody with his back to the camera! And brace yourself, because here comes a picture of the two leads standing back-to-back in wacky fashion! 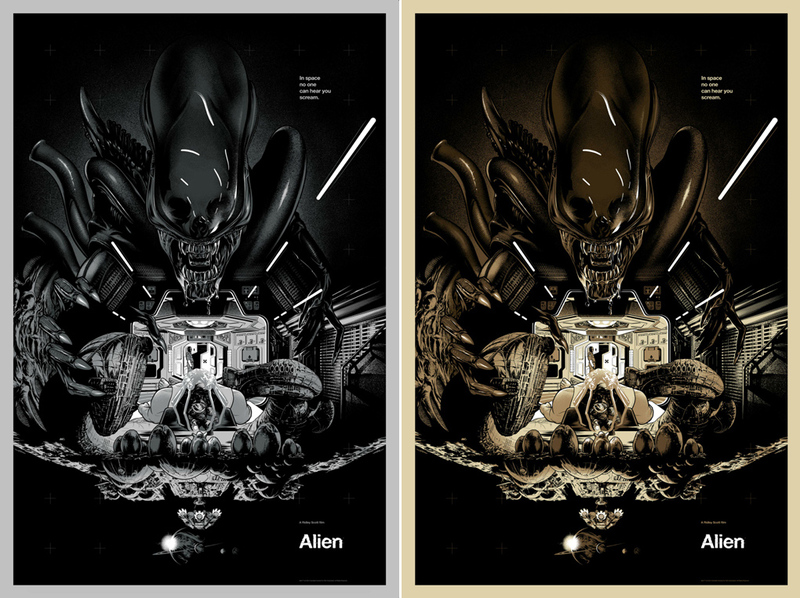 Thankfully, the folks of Mondo are on hand to give more creative makeovers not only to modern films, but to older classics. Their latest exhibit features lovely limited-run posters for the first two Alien films, Ridley Scott’s disappointing Prometheus, and even good old Flash Gordon. You can click the images for a larger version. Many of these new Mondo posters have two different versions, usually just with a variation in color scheme. 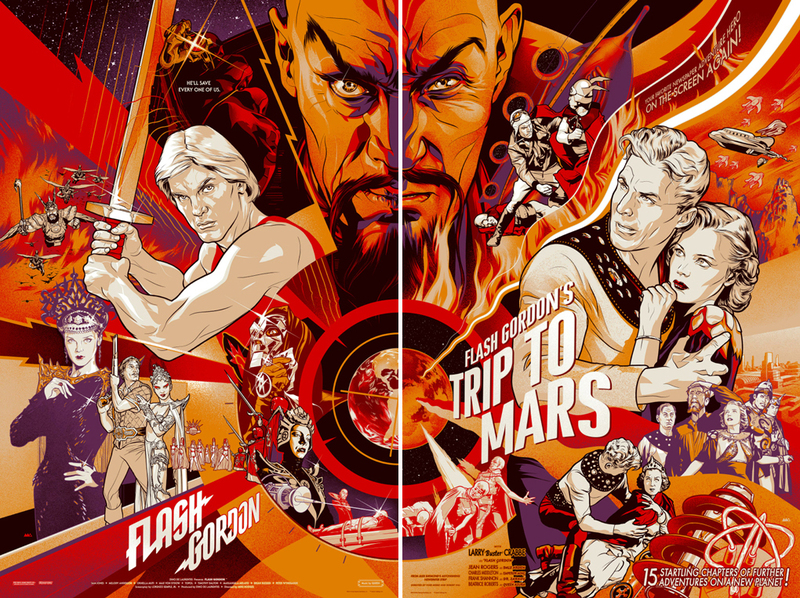 What I really, love, however, is the dual Flash Gordon posters below. The one on the left is for the 1980 camp classic — the one with the Queen score — whereas the one on the right is for the 1938 Flash Gordon’s Trip to Mars, which had Buster Crabbe in the title role. 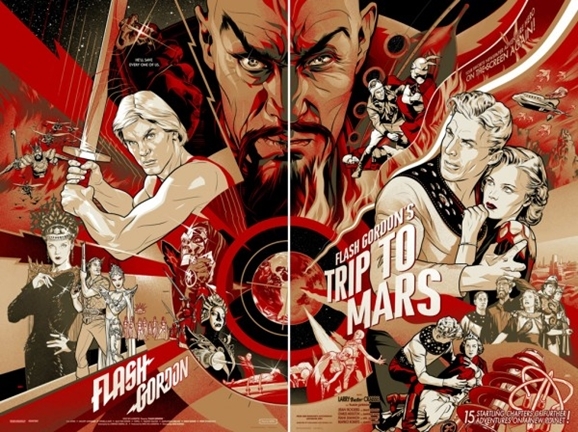 (Flash is due for a resurgence of popularity after actor Sam Jones’ cameo in Ted.) Uniting two different incarnations of the same character is a very clever idea, and I can imagine the same thing being done for other characters who have been played by many different actors, such as Batman or James Bond. 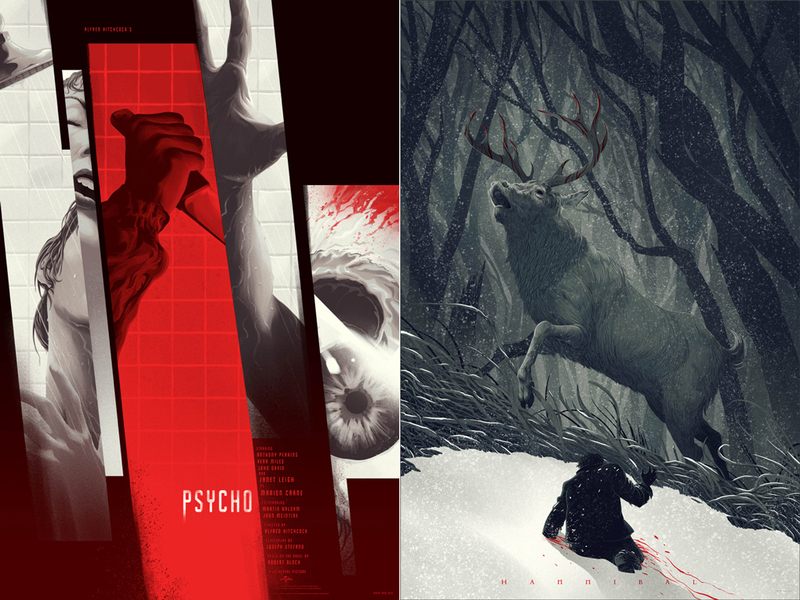 None of this current crop of posters is up for sale on Mondo’s website yet; I’m guessing they will become available after the show. 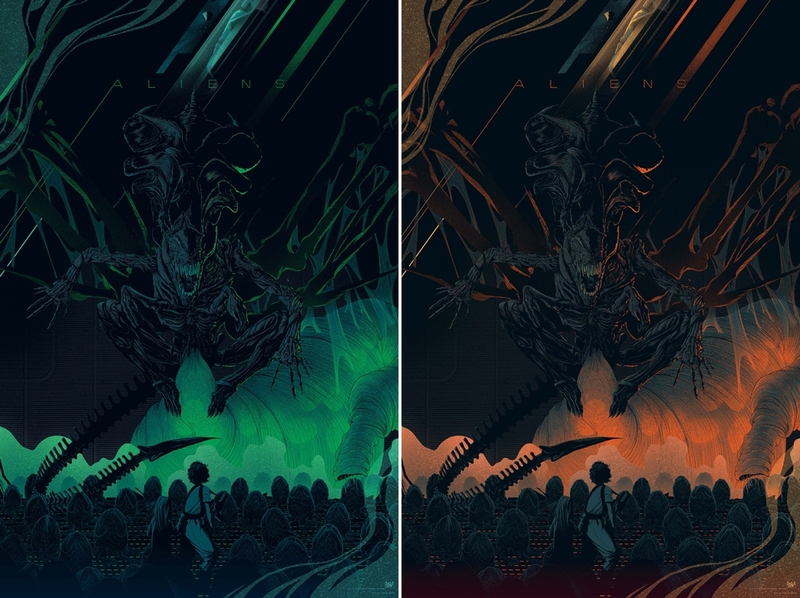 If you want one of these to adorn your wall, best bookmark the store website — once the limited-edition posters are gone, they’re gone, so you won’t be able to grab a reprint. 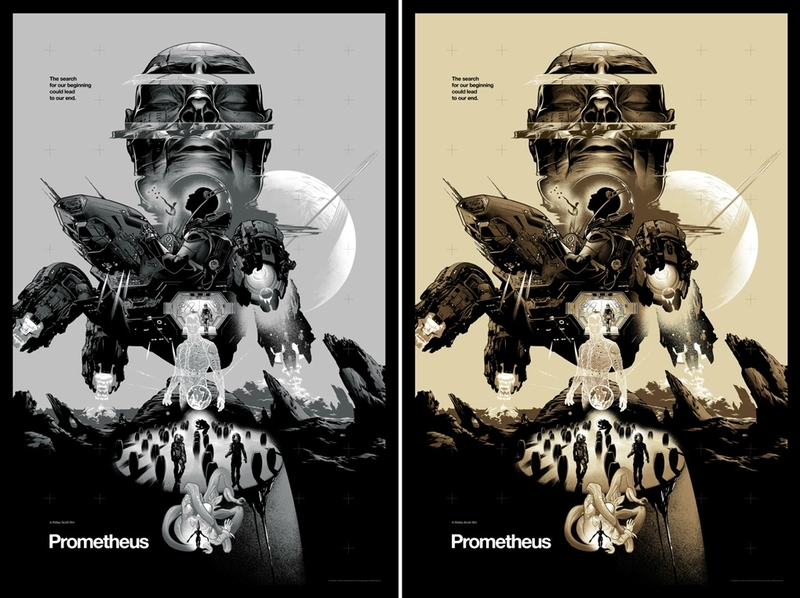 If you’re craving more awesome science fiction art, check out Juan Ortiz’s amazing Star Trek retro posters. And even though they don’t really fit under the GFR umbrella, here are the Mondo posters for Psycho and Hannibal (the TV show, based on the art).